Stephenson Blake is a name older designers will be familiar with, as they manufactured traditional lead type fonts. Much of this was done from their works in Sheffield which closed in the early 2000s, bringing an end to both the manufacture of type in the UK, as well as the end of the work in Sheffield after 180 years or so. 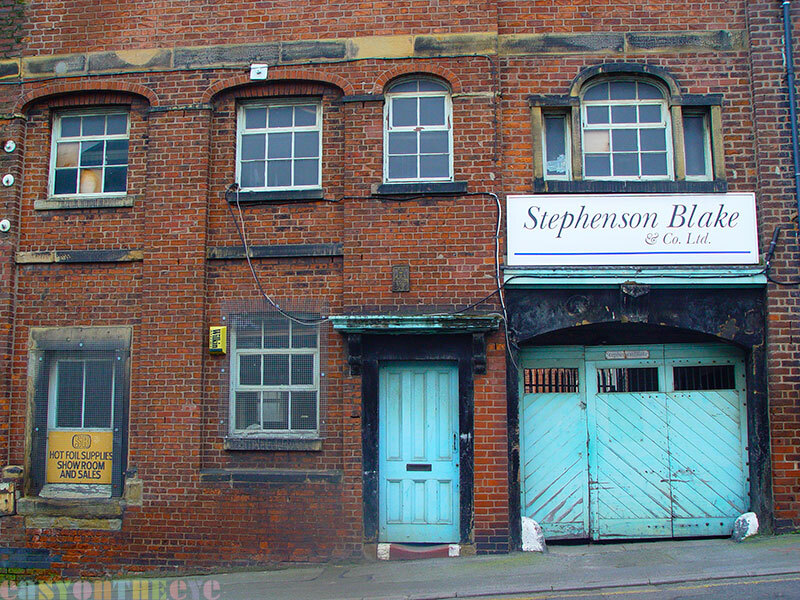 By the time the factory closed, it was very much a dwindling industry and the firm had long since diversified into other steel and tool production. The firm kindly offered the archives from the type foundry to the local council. Whether anyone there even knew what it was they were being gifted is unlikely, and they turned the company down. So the bulk of it went instead down to London and ended up at the Type Museum, which is probably as suitable a home as it could wish for, but still a shame for the city. The museum itself closed recently due to lack of funding, lets face it the subject is hardly one of great glamour in an age when the V&A are more interested in making their money showing off Kylie Minogue’s underwear. The collections are now simply warehoused. The empty upper floor area. 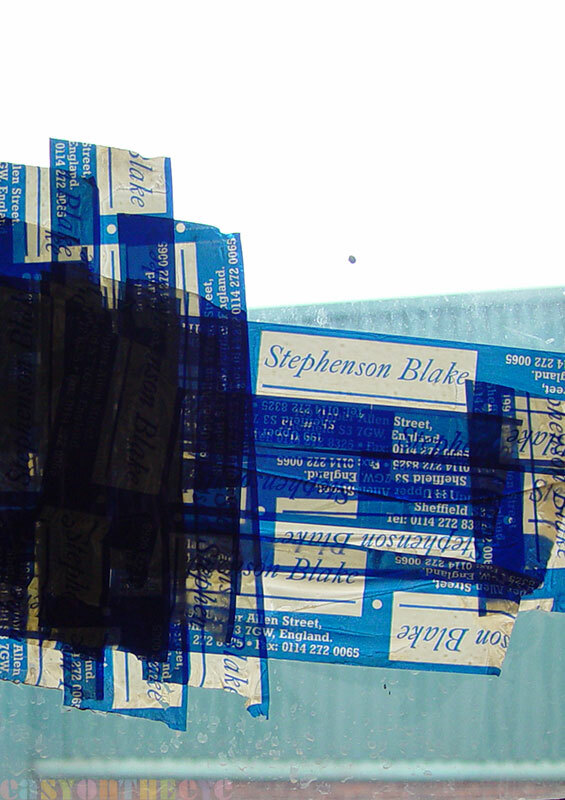 Broken window, repaired with factory parcel tape. 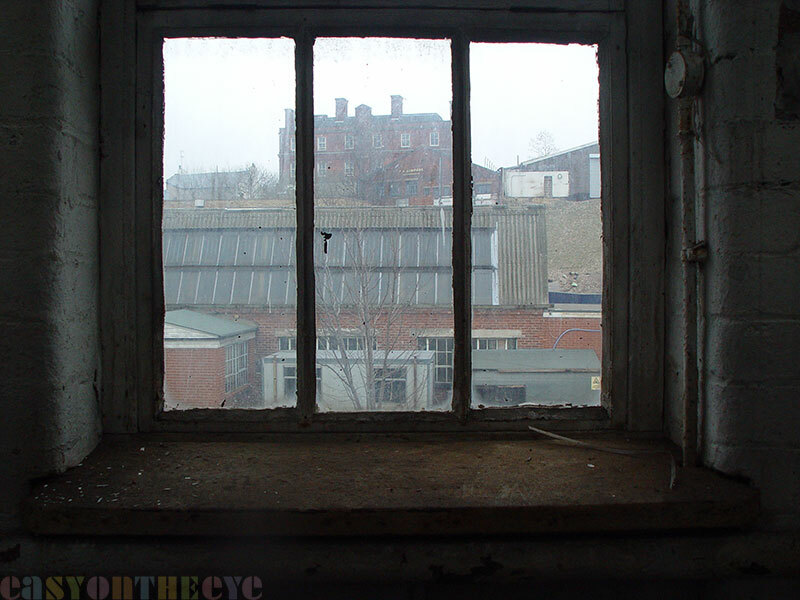 I sneaked round the factory in early 2005 after it had largely been cleared, just to try and get some of the atmosphere of the old place and see what was left. Someone was still feeding a few feral cats in the yard but otherwise it was abandoned. I was fascinated to see a room full of stunning thirties styled drawing boards left, and great old wooden filing cabinets. I managed to scrounge a few unopened packets of lead type too and a few other bits and bobs. 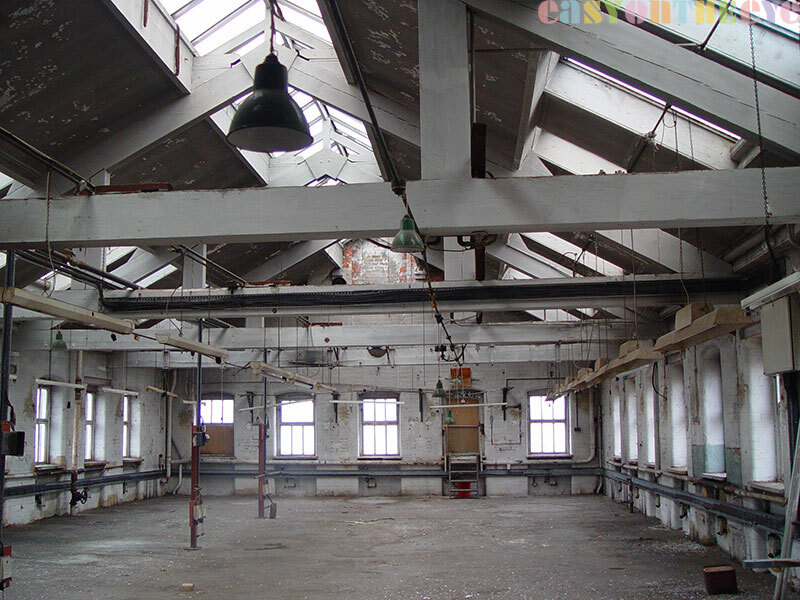 As with any abandoned factory though, it was the small human touches which left an impression. 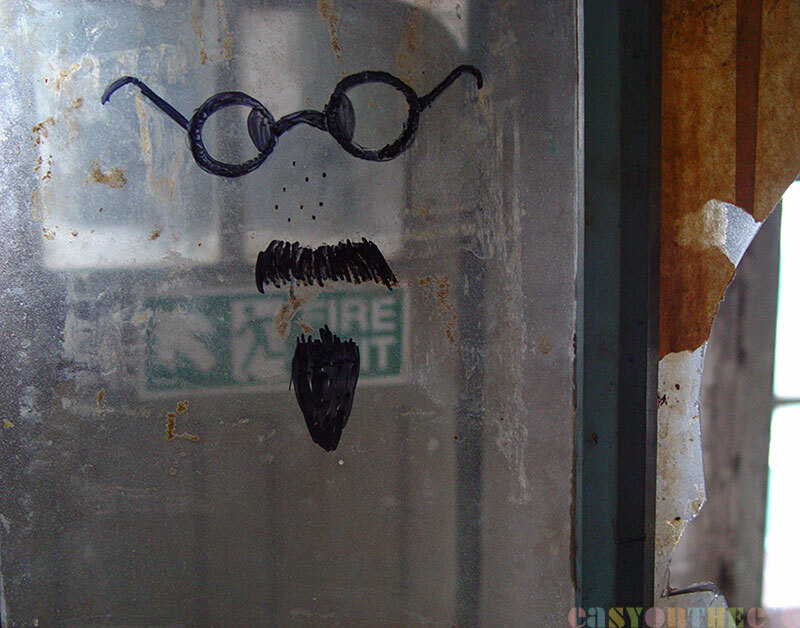 A comedy beard and glasses drawn on a works window, doubtless for people to pose behind when the foreman wasn’t looking. 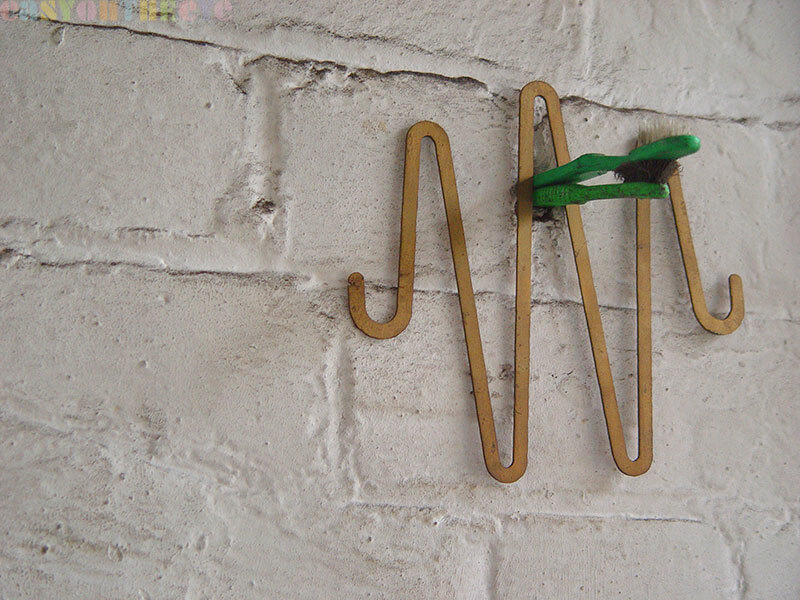 A do it yourself wall hook made from two old plastic toothbrushes rammed into a hold in the distempered wall. The lack of upkeep typical of many of these old buildings was highlighted by the temporary repair of a broken window pane with several feet of Stephenson Blake packing tape. Another reminder of technology being subverted was the topical cartoon about the National Lottery. Cartoons like this would be faxed between people at factories all over the country, and sometimes photocopied to put on the wall. The extensive frontage of the buildings survives, but all traces of former use have disappeared a the developers converted it to apartments. Any thought of turning it over to mixed industrial and live work units for start-ups ruled out by the desire to screw as much out of the deal as possible. to crouch behind and scare your work-mates! Enter your email address to follow this blog and receive notifications of new posts by email. 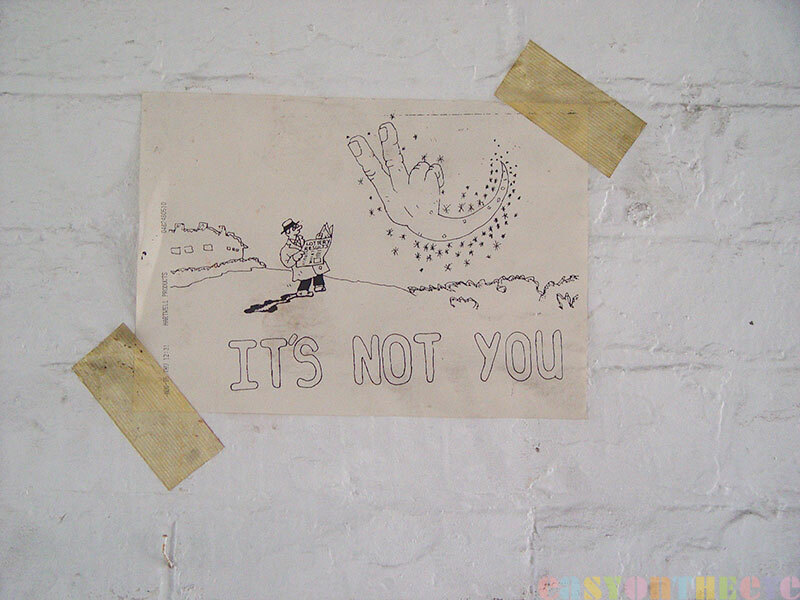 You can change your mind at any time.